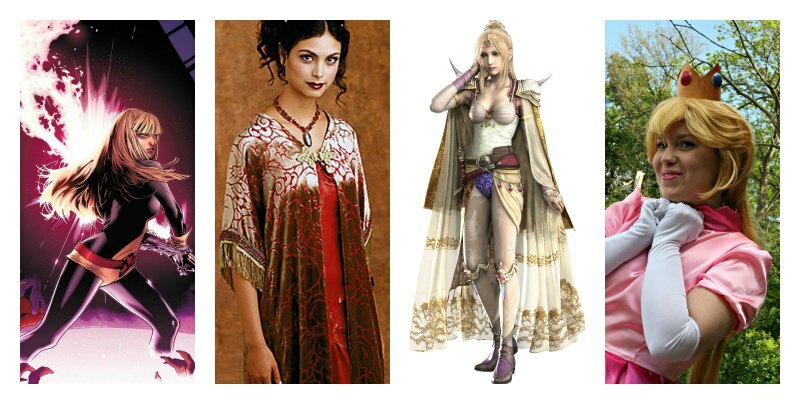 Thursday/Friday: Inara Serra from Firefly. Saturday: Princess Peach from Super Mario. Featuring a new super fluffy underskirt. See you tomorrow at NärCon! ... about the fact that NärCon is soon. So far I've got one complete cosplay, on half done and two in pieces. This will be interesting. Plus I'm also making a friend her weddingdress and work full time. But at least I wanted to let you know of my plans at least, not that they are totally set in stone just yet. Friday: Inara Serra - Firefly, no need to say anything else. Mal is of course coming as well. Saturday: Rosa Joanna Farrell - Final Fantasy IV. My most complicated costume this year, it involves worbla, lots of gold paint and a million details. And if I have time, a great magic staff. 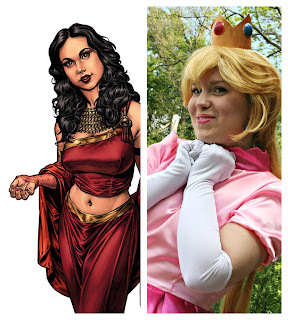 Sunday: Princess Peach - well no need for further introduction. It rocks being a pink princess. I don't really know which days it will be Inara or Peach just yet but it leans towards this schedule. Well, that it, now going back to sewing before work. Bye!